Writer/Director Matthew Ralli and Theatre Maker Melissa Nolan will workshop the latest draft of their script I Am Mrs Daisy Bates with Australian Aboriginal actor Natasha Wanganeen and Irish actors Olwen Fouéré and Áine Ní Mhuirí. Creative team members: Dramaturg Pamela McQueen, Sound Designer Carl Kennedy and Movement Consultant Sue Mythen will continue their involvement in the development work. This workshop is a culmination of almost three years of extensive research, exploratory workshops, and presentations to public and is supported by Dublin UNESCO City of Literature, Kildare County Council Arts Service and Dublin City County Council. With the support of the Arts Council of Ireland, Australia Council of the Arts, Project Arts Centre, Kildare County Council, Dublin UNESCO City of Literature, Riverbank Arts Centre and Irish Theatre Institute, Speckintime is developing a piece of theatre based on the extraordinary life of historic Irishwoman Daisy Bates. After workshopping researched material, an introduction to the project and its development was presented to invited guests at Project Arts Centre, Dublin in March 2017. A first draft reading was then presented at Riverbank Arts Centre, Newbridge, Co Kildare on October 26th, 2017 with the Australian Ambassador to Ireland in attendance. The script is now in a process of further development and an extensive workshop will occur in October 2018. The Irish premiere production is scheduled for 2020. Aboriginal Australian writer Jane Harrison is an integral part of the creative team in her role as Aboriginal consultant. Daisy Bates was born in Roscrea, Co. Tipperary, Ireland in 1859. Orphaned at a young age, she emigrated to Australia in 1882. During her life she worked as a governess, married three times without ever divorcing and had one child. However, she is best known for 'devoting' over 40 years to the study of Australian Aboriginal people - their history, culture, beliefs and customs. A self taught anthropologist, she lived in a tent in remote settlements from Western Australia to the edge of the Nullarbor Plain, and wrote popular books, hundreds of academic papers and countless observations of Australian Aboriginal languages, stories and their relationship to the land and astronomy. Her accounts, among the first attempts at a serious study of Aboriginal culture from an Australian colonial perspective, were published by anthropological and geographical societies in Australia and overseas. In 1912 she became the first woman to be appointed Honorary Protector of Aborigines and in 1933 she was presented with The Order of Commander of the British Empire for her work with Australian Aboriginals. A largely controversial figure, the consequences of her involvement in Aboriginal life are argued to this day, in recent years her vast collection of detailed records have been used as crucial evidence in the reclamation of Aboriginal native land. However, her legacy is stained with offensive fabrication and doubts over the motives of her life's 'work'. In her role as producer, Melissa has played a large part in the success of Speckintime's first three productions. Holding a Masters Degree in Performance Drama & Theatre from UCD, Melissa is the co-founder of Mouth on Fire theatre company and an Executive Board Member of Irish Equity. 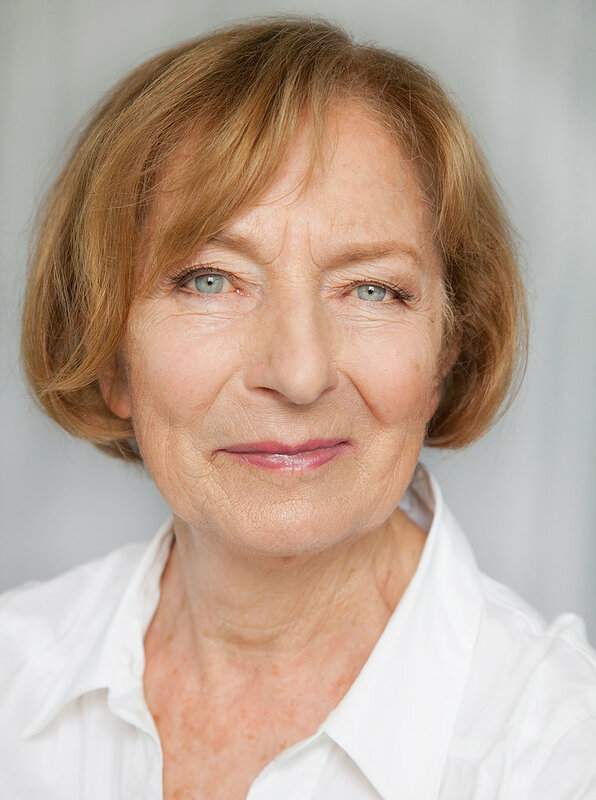 She is an experienced performer, having undertaken ten of Samuel Beckett’s female roles, three of which were world premiers (Irish language translation by Gabriel Rosenstock). Having already forged an interest in Aboriginal culture, Melissa discovered a brief description of an historic Irishwoman, Daisy Bates, who lived a vast portion of her life alone in outback Australia studying these persecuted people. Her interest piqued, Melissa set off on a challenging project to research and dramatise this brazen and enigmatic woman. Jane Harrison is an indigenous Australian playwright, novelist and researcher. Her involvement as Aboriginal Consultant for this project is thanks to a recommendation by Melbourne UNESCO City of Literature. The Australian Council for the Arts is funding the international collaboration of Jane Harrison and Speckintime. A descendant of the Muruwari people of New South Wales, Harrison's best-known work is Stolen, a play about the lives of five Aboriginal people from the "stolen generations". The critically acclaimed premiere in 1998 at Playbox (now Malthouse Theatre, Melbourne), was followed by seven annual seasons in Melbourne and tours across Australia. The play then toured to the United Kingdom (twice), Ireland, (twice), Hong Kong and Tokyo. Harrison was awarded the Australian Writer's Guild AWGIE Nomination, was co-winner of the Kate Challis RAKA Award, and received an Honourable Mention in the CACS National Awards Individual Category for 'An Outstanding Contribution to Australian Culture'. Stolen has been studied on the Victorian VCE and NSW HSC English and drama syllabi.